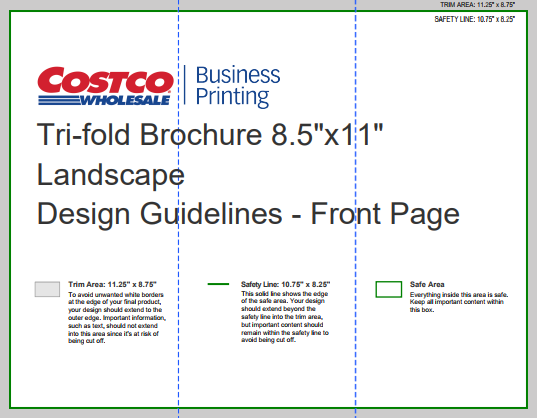 Brochures are printed on 100 lb. gloss paper. 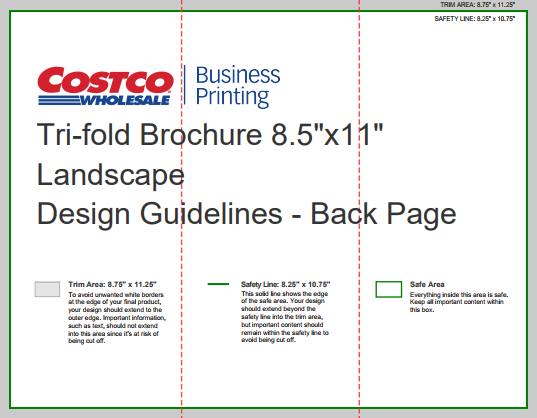 Orientation - Tri-fold Brochures: Tri-fold brochures are available in the horizontal-spread orientation. Printing: Full-color printing on both sides. Double-sided printing only. Finishing: Brochures are available in half-fold and tri-fold options. Brochures are printed on 100 lb. paper with a gloss finish on both sides.